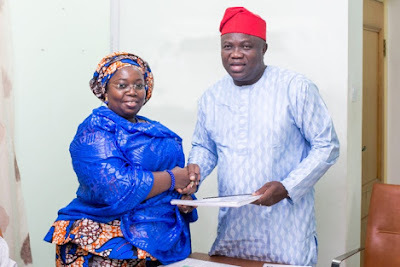 Deputy Governor of Lagos State, Idiat Adebule, left Governor Akinwunmi Ambode to support Mr Babajide Sanwo-Olu in the two-knight race to choose the ticket to represent the All Progressives Congress (APC) in his election 1919. Adebule told reporters at Ward A and D, Lagos Regional Development Area, where he participated in the APC government, that he would sign up for the candidate selected by the party. "The party has chosen a man and that is the man I will support and follow," he said. NAN reports that when the deputy governor arrived in the ward, some of his assistants came up with Sanwo-Olu banners and banners. In the ward, accreditation began at 10.36 am as the electoral staff arrived. There was no formal announcement of results as accreditation was short. Many members of the party in the room began singing Sanwo-Olu's praise.